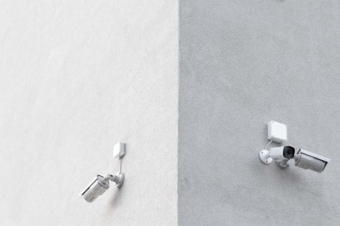 The Benefits of Having CCTV Surveillance Installed on Your Property - Advantage Electric - Electrical contractor in the Greater Toronto/Hamiltron Area. We offer 24/7 emergency services. It can be very easy to fall into the trap of thinking "it can't happen to you" when it comes to crime. But even crime rates in civilized countries such as Canada are high, with Canada alone experiencing 578 burglaries per 100,000 people in crimes that cost Canadians over $14 billion dollars a year. In urban areas such as Hamilton, that means you probably know somebody that it has happened to, and it can happen to you too. Discover the benefits that CCTV surveillance can offer, in addition to purchasing a little peace of mind. It's no secret that CCTV surveillance can spot crime, and it can also solve crime. At the same time, CCTV surveillance can also deter crime. It's impossible to know how much crime surveillance can deter. We can never keep track of something that we can't see. But surveillance on your residential property can deter any crime, from burglaries to stalking, to voyeurism, and even murder. A little sign on your front yard that sends a powerful advance notice of evidence gathering to would-be criminals is all you need to provide crime deterrence in your home oasis. It may seem like home surveillance is expensive, but how much is the cost of your family vehicle? When you compare that cost to the cost of a home security system, you begin to feel a little bit of peace of mind at the thought of having your own. It was an early morning in Mississauga, just outside of Toronto, when the Dhaliwal family had their Mercedes Benz stolen. They did have CCTV, and this was used as evidence for the police after the crime. A CCTV system in your home will save you money in a variety of ways. It could help prevent your vehicle from being stolen, and it could also save you insurance money if your belongings are recovered before insurance claims. At the same time, having CCTV could even save you on home insurance. In the Toronto area, residential security needs are specific. When you are looking for home security needs that offer 24/7 emergency availability, a reliable Toronto-based residential electrician is a good number to have in your Rolodex. After a long day, we all want to feel content in the privacy of our own homes. It's a state of being that you can't put a price on. But there are some measures you can implement in your own home, that will help you find that state of bliss. A CCTV system is one of them. It doesn't matter whether you live in a high crime area or in the middle of the country with nobody around. Having a CCTV system helps you feel that feeling at home that you have worked so hard for – peace. When you live in an urban area with hundreds of crimes happening for every 100,000 people, you want to secure your own peace of mind in your own home. The York Regional Police have found that the 1,100 break-ins in 2017 were enough to form a special task force. While the chances of those crimes happening to you are high in this area, that doesn't mean you can't work to prevent or deter them. And a security system in the GTA isn't as expensive as you might think. Get a residential electrician on your in-house contact list, and begin securing peace of mind today. Secure a free online quote for CCTV surveillance and we'll wire you into peace of mind.